Vitesse Arnhem new boy Mohammed Dauda has named Ghana captain Asamoah Gyan as his ‘idol’. The Former Kotoko striker also likened his playing style to the Kayserispor marksman and revealed watching his matches to improve his game. The 20-year-old joined the Dutch side last week on loan from Belgian giants Anderlecht. He moves from Belgian giants Anderlecht in search of playing time after seeing limited opportunities in the Jupiler League. 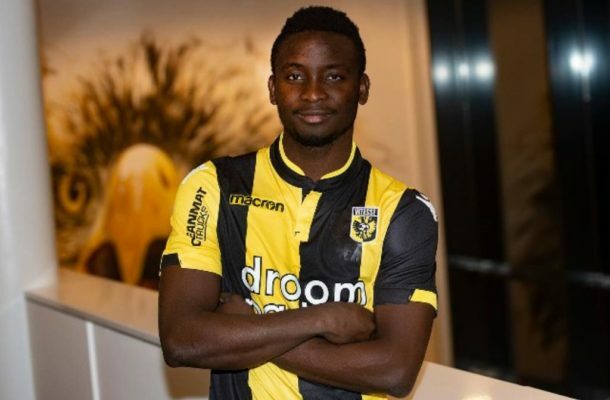 Vitesse will have the option of giving the Ghanaian youngster a permanent contract at the end of the season if they are impressed with his performance. “He is the African with the most goals at the World Cup and is the top scorer of all times of the Ghanaian team. My game is similar to his. He is also a fast, easily scoring player. I like to watch his matches, because I can learn a lot from that. I hope to be able to follow in his footsteps. "